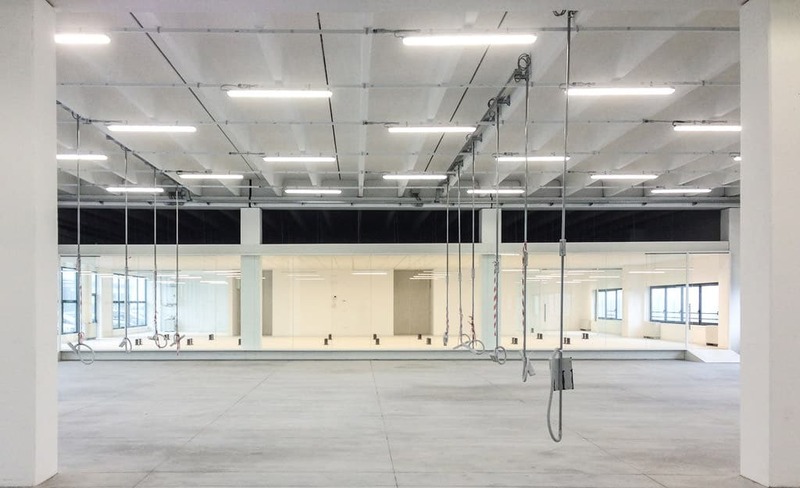 The client required a new office space with bathrooms and changing rooms inserted within a warehouse in the outskirts of Milan. 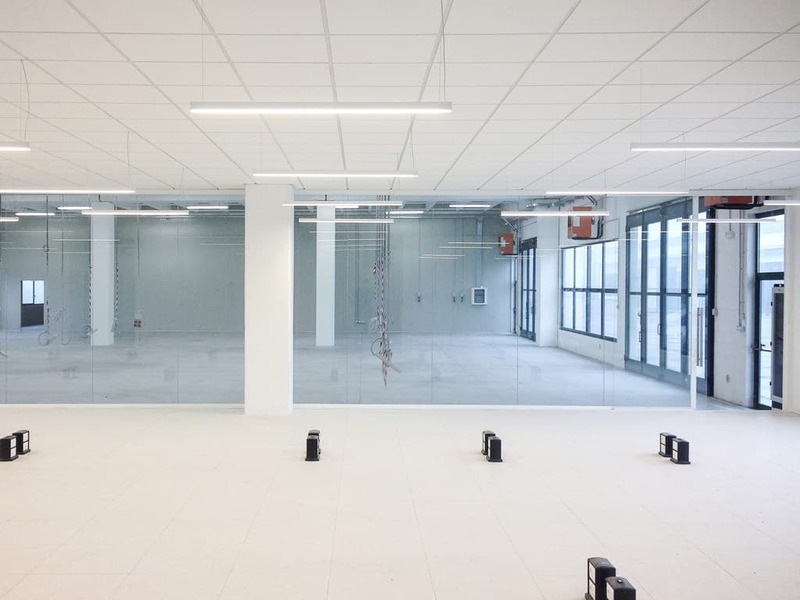 The new clean volume is inserted on one side of the warehouse, compressed among two white steel beems, and a series of clean white boxes are lined to the back containing the service functions for the workers. 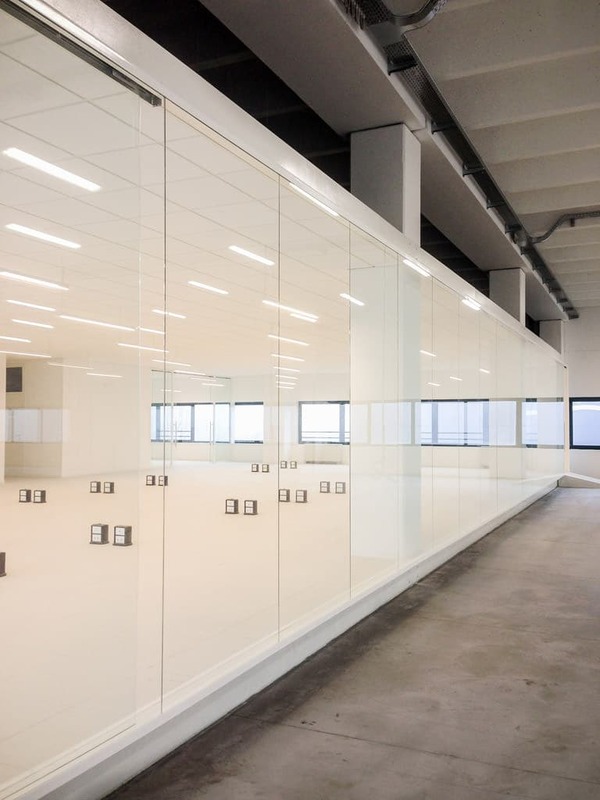 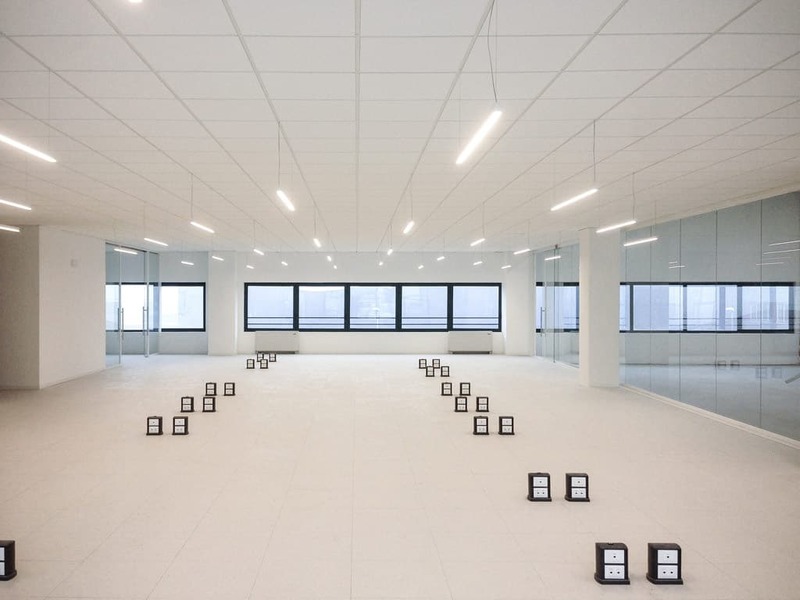 The open space of the office opens up toward the production area with a 24 x 3 m glass facade which at night becomes a light lantern.